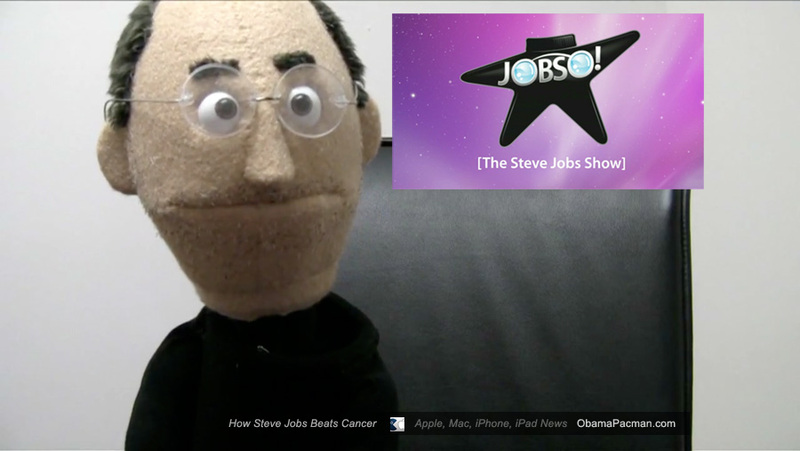 Exclusive, behind the scenes video reveals how Apple CEO Steve Jobs really beats cancer. Turned out that Apple CEO Steve Jobs made a deal with Death to save himself from the grim prospects of pancreatic cancer. Luckily Death has some ideas on a new Apple product. Pretty funny iPad roast humor, with something about a larger iPod touch. Come on death, haven’t you hard of iMushroom? This entry was posted on Saturday, May 29th, 2010 at 1:48 pm	and is filed under iPad. You can follow any responses to this entry through the RSS 2.0 feed. I have been using iPad product and it’s amazing. Hopefully, he will overcome the disease. God bless him. He will be fine because people love him.